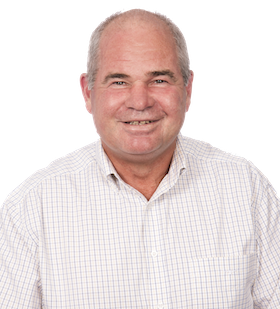 Servicing the Darling Downs Region, Richard is a wealth of knowledge, having worked in the finance industry for more than 20 years. His devotion and unparalleled customer service has resulted in a continuously expanding network of loyal clients and referrals. Specialising in residential, commercial and business finance, Richard can assist with both large scale projects or securing the most suitable loan for your lifestyle and scenario. He recently completed the finance of a subdivision and associated development of 20+ units. Richard’s recipe for relaxation is very simple – anywhere by the water and fishing from his tinny. What has Richard recently financed? Richard made our first experience incredibly smooth & easy. Regardless of any issues that came up, he did everything to help us purchase our first home. We will always be grateful for the effort & time he put into making it happen for us. Can’t recommend Richard & the team enough – thanks to them we are blessed to be spending this Christmas in our first house! Thanks for all your help negotiating Emmy through her unit purchase. We are very proud of our daughters and are pleased you have made their experiences easy. Massive thanks to Richard at QPF Toowoomba for his assistance and persistence with our recent purchase. Your help and expertise was truly appreciated. I would just like to give a shout out to Richard Palmer from QPF finance group Toowoomba, for his round the clock work on securing finance for me to purchase my new home. Anyone needing finance for a house should definitely hit him up. Great bloke and great at what he does.